Why Israeli Forex Regulation Turned out to Be So Popular? 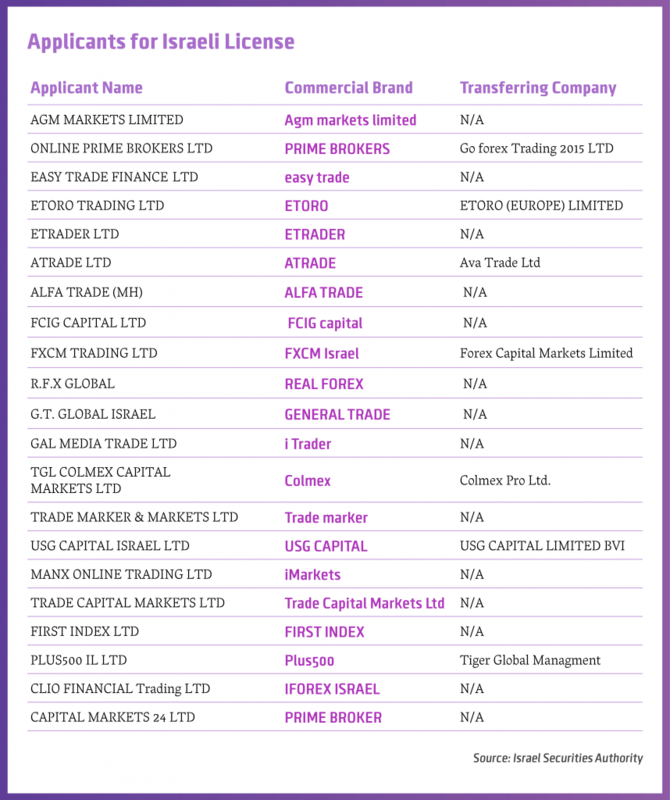 21 firms have applied for an Israeli license, way too many according to the Israeli Forex Lobby. The Israeli Securities Authority published today the list of trading companies which applied for an Israeli regulation. The full list consists of 21 firms, a surprisingly large number considering the legislator’s estimations of an industry exodus in light of the new regulatory requirements. Indeed, by the end of April only 9 brokers were reported to have commenced with submitting their application. In its communiqué, the watchdog clarifies that the process is far from ending, as the brokers’ submissions are still pending the ISA’s review. During this temporary transition phase, which may take up to a year, the listed companies are entitled to trade and solicit Israeli clients, but would still be unsupervised. Companies that have not asked for a license, are prohibited from doing so. ”Such companies are breaking the law and traders should take into consideration the risks involved,” the ISA added. The Israeli regulation was conceived in order to deal with a reality that has amounted to a “jungle”, according to the relatively new Head of the Israeli Trading Arena Association, Izik Noy. The regulatory requirements include leverage limitations (ranging from 1:100 for “low risk” products like currencies and gold, 1:40 for several indices and a reduced 1:20 for all other assets); minimum capital requirements of $ 200,000 to $ 4 Million, and various AML and marketing practices endorsed by other regulators worldwide. The number of applicants could allegedly be understood as a vote of confidence in the Israeli forex market, worthwhile undergoing a long and costly process in order to operate in it legally. However, it’s important to remember that the mere application provides local unregulated brokers with a lifeline of a few more months, before turning illegal. Hence, it is reasonable to assume that the final line up of Israeli regulated brokers will be much smaller. “There is no room for 21 brokers in the Israeli market,” said Mr. Noy. 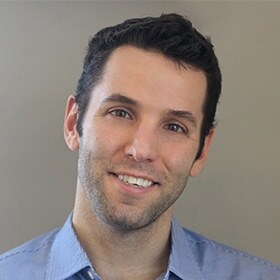 Further, estimating that the need for the local companies to “re-invent themselves” in order to compete in the global field for Israeli clients will push the retail segment into both an internal consolidation and an attempt to grab a chunk of the institutional side, currently held predominantly by the banks. Looking at the table provided above, the column “Transferring Company” relates to the entity which transfers its Israeli clients to the new supervised firm. For the most part, these firms are the international entities of Israeli-originated brokers preserving their Israeli clients, such as Ava Trade, eToro and Plus500. One different and curious case is that of AGM Markets, a Cypriot broker regulated by CySEC with no ostensible affinity to Israel. This means that either the company has a strong client base in Israel or it is aiming to cultivate one, most probably by a collaboration with a local marketer. One of the pressing questions that has remained unsolved by the Israeli Parliament almost all through the process has to do with foreign clients. That is, whether or not local brokers facilitating trading for clients from outside Israel are subject to the new requirements. However, a legal opinion issued by the ISA in March leaves little room for doubt. “A trading arena which solicits clients exclusivity outside of Israel, and does not permit access to Israeli clients, is not subjected to the law”, it said. In other words, even if the law leads to an internal clean up and changes of practice, forex traders outside of Israel will not benefit from it. If Israel is to lose its dominance as a forex powerhouse, it seems it will have little to do with the law.